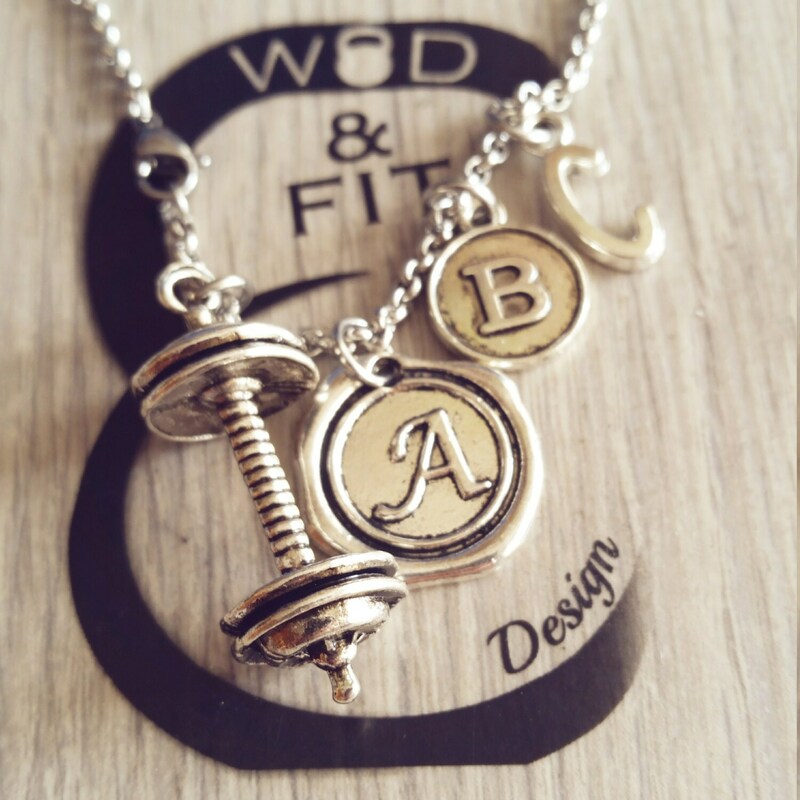 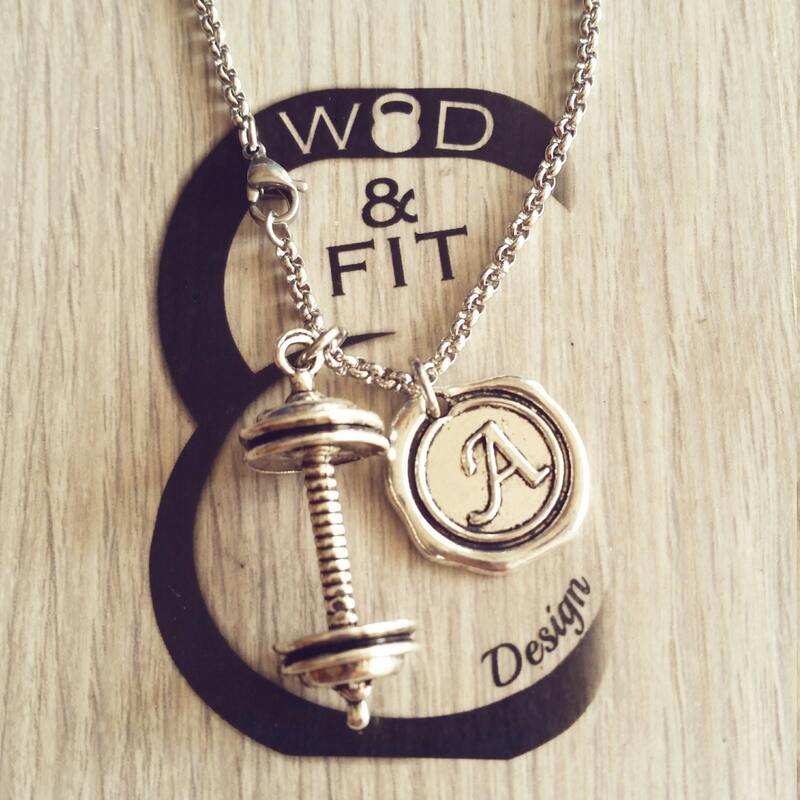 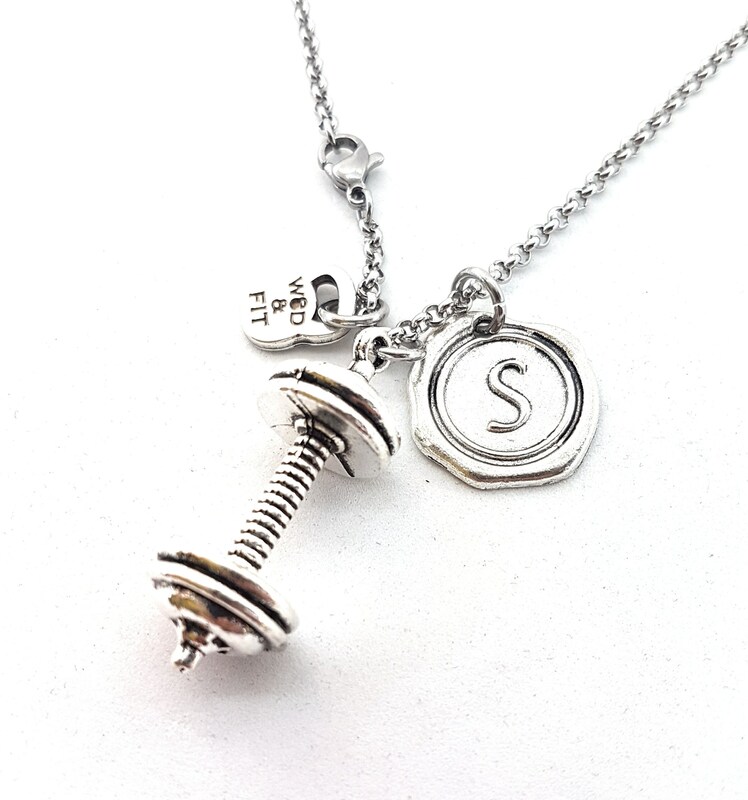 Necklace Barbell Old School & Initial Letter charm. 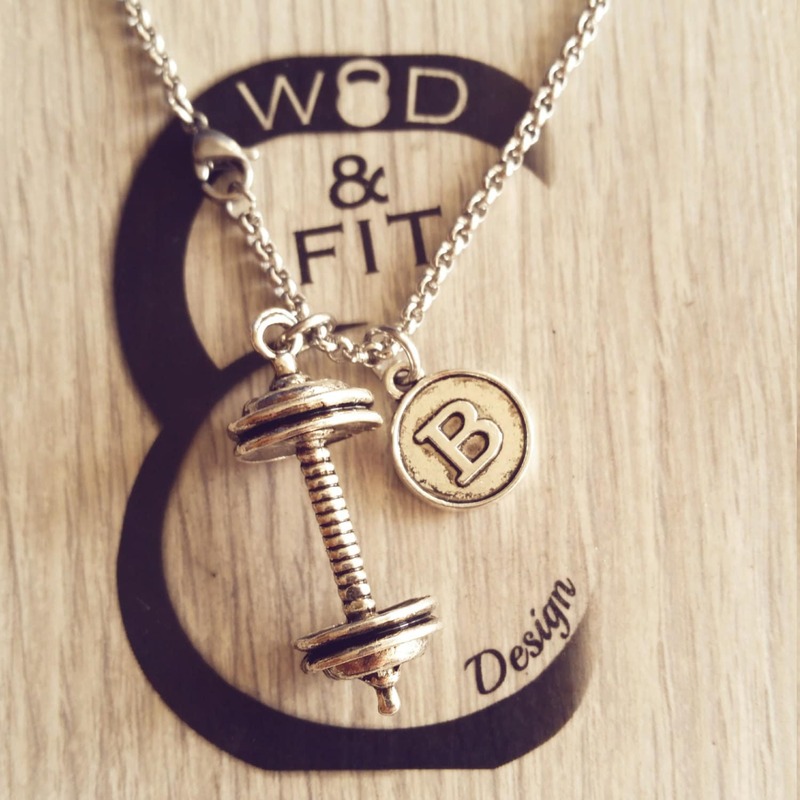 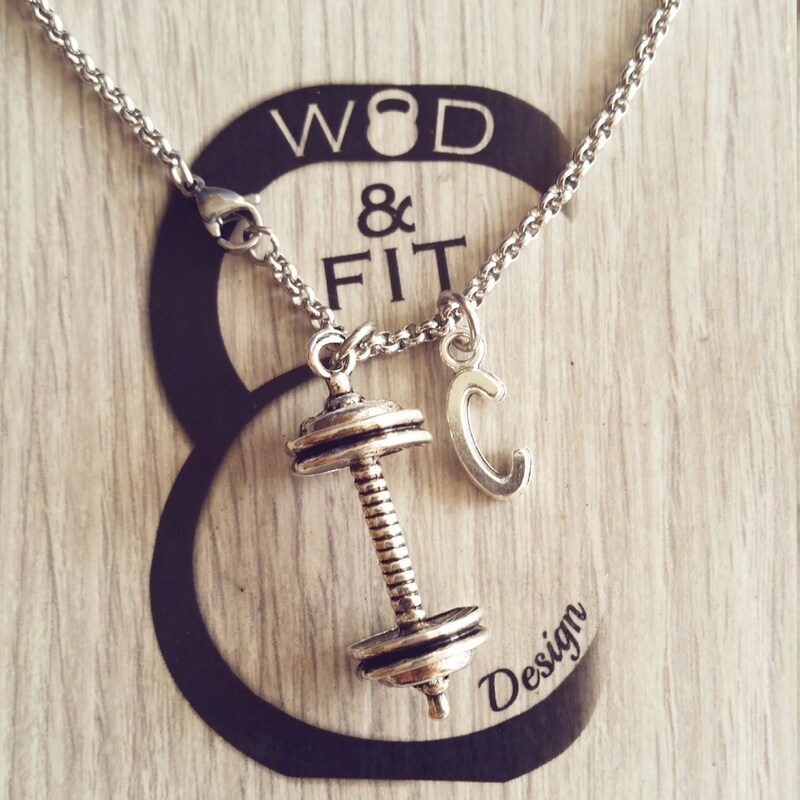 Necklace Old School Barbell Vintage (34mm), cm61 (24") necklace stainless steel available and letter. 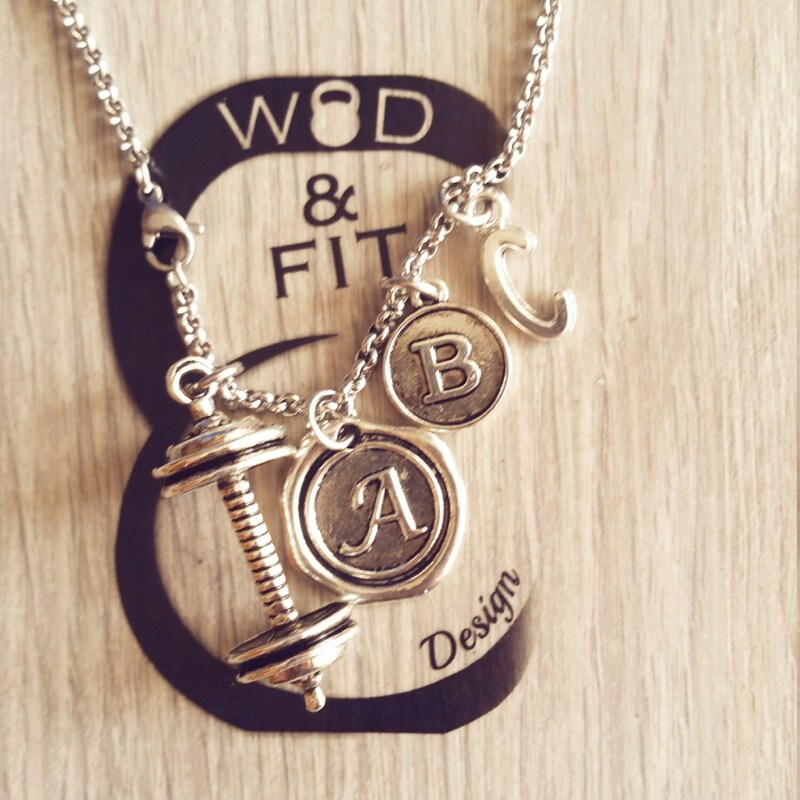 Model: Select the letter model.